It’s been over 10 years since I read Speaker, so I’m a little fuzzy on the details, but what I do remember is that in the book Ender had to wrestle to find compassion and meaning in the life of a man that, to most of the world, looked like an abusive no-account. As we reflected on my father-in-law’s life, collecting stories for the minister and for the obituary, I longed for someone who could make sense of a complicated life that had ended, and the complicated ripples that remained in the lives of his children, his siblings, and the others who were close to him. And therein lies the truth, that a single man can be so many different things to different people, and so many different things even to one person. Every beautiful story and memory told about him was true. But what was also true was the unspoken or the tactfully avoided, the vices that were no small part of the man’s life, that in fact loomed large enough to cost him his long marriage to a good woman and the mother of his children. How nice if someone else could come in and make sense of it all. But while our shared literary reference provided us some comfort and a shorthand language in which to communicate about my father-in-law’s life and death in the midst of a hellish, heartbreaking week, we knew that no Speaker was available to take this burden from his family’s shoulders. The beauty of a Speaker for the Dead, though, is that he WOULD have mentioned that, the good and the bad, and somehow made it all okay, all beautiful, all a piece of one rich and complex and completed life. After the eulogy, the pastor invited those gathered to share stories about my husband’s father. Not surprisingly, a case of Midwestern shyness kept a room full of boisterous, story-rich family and friends silent. The pastor pressed on. “One word to describe him,” he suggested. Of course, the truth was in the hearts of those gathered all along. And while no one person alone could find a way to articulate the sometimes muddled tapestry that had been the man’s life the way that a Speaker for the Dead might have done, a room full of those who loved and knew him best turned out to be pretty adequate Speakers after all. So, I stopped posting reviews here after #70 last year. I did manage to read 100 books in 2017, but getting them reviewed, let alone posting the reviews in two places, proved to be too much for me. I knew that "something would have to give" when I became a mom in July, but it's still hard to actually make those choices and decide what to let go. I am not letting go of this blog, but I will no longer cross-post all my Goodreads reviews here. You can still read them on my Goodreads page, of course. The 2018 PopSugar Reading Challenge - Just for fun; I am not going to be crushed if I don't manage to complete it. The Into the Forest Reading Challenge - Into the Forest is a Goodreads group I belong to for fairy tale/mythology enthusiasts. They do a 12-item challenge every year within the genre that is fun to keep me reading widely within one of my favorite book categories. 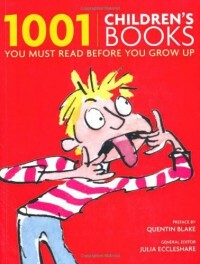 1001 Books to You Must Read Before You Grow Up - I am working my way through the recommended books in this tome with my son. Right now we are just focusing on the age 0-3 chapter. 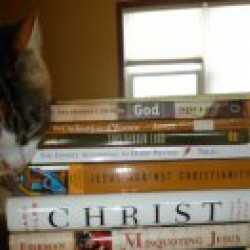 I am really surprised by how many of these books are NOT in my public library! My plan is to buy my son a big box of any of the books we weren't able to find in the library at the end of the chapter. In the meantime, I've also begun scouring used booksales to help fill in the gap. The cookbook project - In an attempt to actually USE more of my cookbooks, feed my family well, and save money on eating out, I've been marking recipes I want to try since I was pregnant. I rate every recipe I try, and eventually hope to pare down my cookbook collection by getting rid of the books with only a handful of intriguing recipes after I have tried them. I am also working on a "book adjacent" project, which is listening to all 150 albums on NPR's women's music canon. The reason I consider this to be a book-adjacent project is because a) I am getting most of these albums from my local library and b) I am listening to a lot more music these days because my son is more content on drives with music than audiobooks. I am sad to have fewer audiobooks in this season of my life, but I am excited to start exploring music again, and to, you know, have a baby. More than just a memoir on infertility, this is a collection of essays through which the author uses her own infertility journey to examine the ethical, political, biological, and even literary issues surrounding difficulty conceiving. I appreciated this approach, even though I found the author's personal story to be the most compelling; I often wanted to find out more than she disclosed. For example, she mentioned low progesterone and that "multiple issues" contributed to her infertility, but she never went into further specifics than that. Perhaps a lay reader would not be interested in all the gory details, but as someone who tried for almost two years before conceiving my son, I am familiar with the jargon and the various potential issues and was hungry (voyeuristically, perhaps) to know specifics. My favorite essay by far was "Imaginary Children," which examines both the way we imagine yet-to-be-born children of our own and the way that literature has grappled with the subject of infertility, particularly the play "Who's Afraid of Virginia Woolf," which made a lasting impact on me long before I was even thinking of having children or how I would cope if I was unable to do so. "Paying for It" made me re-examine my views on whether insurance should cover infertility treatment. Although previously on the fence about it ("It would be nice, but are children really a 'right'? "), she convinced me that because it is a medical issue, insurance should pay to treat it just as they would any other health complication. Boggs' writing is thoughtful and thought-provoking, her prose effortless, the details she chooses to include and her reflections on them meaningful and vivid. My primary complaint is that many of the essays felt as though they ended too abruptly -- in almost every case I was left wanting more. 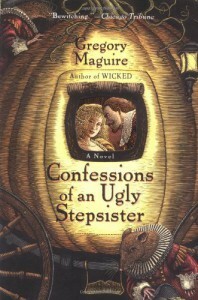 Similar to "Mirror, Mirror," Maguire places the story of Cinderella within a firm historical time and place -- Holland at the start of the tulip trade. But unlike "Mirror, Mirror," it doesn't have the strange conflagration of fantasy and historical realism that didn't quite work for me. "Confessions" could be read as a straight historical retelling with the characters holding onto some "magical" belief systems, or it could be read as a very subtle fantasy rooted in a historical setting. This ambiguity worked for me. The stepmother and stepsisters, as well as the "Cinderella" character, are all vividly drawn. The stepmother comes across as both wicked and sympathetic -- surely not an easy feat to accomplish. As soon as I got over my hangup that it felt as if this story should be told first-person (it's CONFESSIONS, after all! ), I enjoyed the masterful and detailed writing -- although the level of detail and the change the characters underwent in the course of the story made it feel as though it should have taken place over a longer span of time than it actually did. Still, that was a minor quibble -- and the minor "twist" at the end really worked for me. The retelling genre teems with Cinderella stories, but this one moves to the front of the line for me. 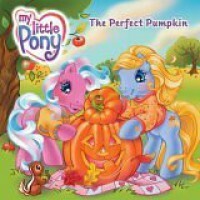 In this book, the central conflict arises from two ponies wanting the same pumpkin from a pumpkin patch. Rather than fight over it, they go all Minnesota nice and are like, "No, no, YOU take it, I insist!!" Only in MLP would the tension derive from both parties being too generous! Don't worry -- it all works out in the end. 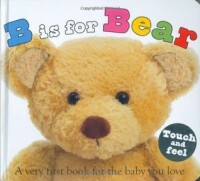 A cut above the typical alphabet book due to the fun textures and bright, beautiful photos. This is a really sweet book about the love and feeling of completeness a special someone can bring to your life, whether a child, lover, or friend. I love that cats were generously represented in the illustrations, too! Only awarding four stars, though, due to my general discomfort with the idea that anyone is ever "incomplete" without someone else, no matter how adorably that idea is executed. 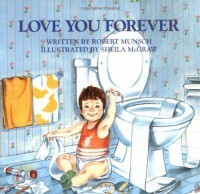 When I was a kid, my mom used to cry every time she read this book to us. I remember being squished into the Lay-Z-Boy recliner with her and my younger sister, enjoying the rhythm of the story and the coziness, but feeling awkward about the tears. When I was a teenager, I attended a retreat in which one of the leaders read this book as part of her presentation. I bawled. I knew then that I would be hopeless if I ever had to read this book aloud. I got a copy of the book as a gift from my mom when I was pregnant. I told her I already knew I would be "hopeless" if I attempted to read it aloud and I joked that I wouldn't read it to my son until I had "practiced" reading it myself out loud for two weeks and was sure I could get through it without crying. But I have been "systematically" reading him the many children's books I received as gifts, and this one came up next on the shelf just days after I had proclaimed that I wouldn't read it aloud without sufficient preparation. So, I forged ahead. I did notice something upon my adult reading of the book that I'd never noticed before, and that is that the son has a rainbow mug next to his kitchen sink. I wonder if he is gay. We never see his baby's mother, and he is an older father (there is gray in his hair), which would be in line with the arduous years many gay men have to put in before they are able to adopt, probably even worse in the 1980s when this was published. This interpretation lends a new poignancy to the story about unconditional love, at a time when many queer youth are still afraid to come out to their parents. This led me to search online to see whether others had similar theories about the son's backstory, and I didn't find much. Instead, I saw how divisive this book apparently is, with half its readers adoring it as a story of unconditional love, the other half decrying it as "creepy" and comparing the mother to a "stalker." I fall into the first camp. I was like, "Come on, the extreme lengths she goes to are a METAPHOR for the extreme love all parents feel for their children. 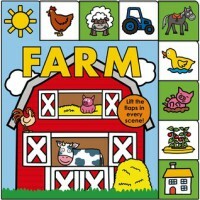 Children's books are all about exaggeration -- they aren't meant to be taken LITERALLY." Except I am just the kind of person who will pick apart children's media for imparting unrealistic or "creepy" messages ... which made me realize that there is absolutely NO way I can be objective about this book. Too much nostalgia, and too much love is wound up in my own memories of it, and my interpretation. 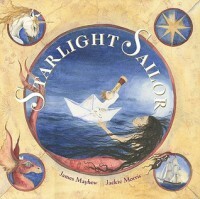 So this isn't so much a review as an explanation of my lack of objectivity -- and also an intention to impart that very same lack of objectivity to my own child(ren) by reading this to them when they, too, are too young to see it as anything but a book about love and cementing that interpretation evermore. THERE ARE SO MANY FLAPS IN THIS BOOK!! A beautiful book about the power of imagination. I love that there is a unicorn on almost every page, and the racial diversity in the children pictured. So I guess I knew who Emma Donoghue was before she was "cool" (i.e., pre-ROOM), since this book has been on my shelf FOREVER ... but I didn't actually read it till after I'd read her more recent stuff. I'm generally 10-20 years behind on my TBR, though, so this is not at all unusual. Having read her later stuff first, I can see that her writing voice is not quite as strong or refined in this collection, but the prose is still beautiful most of the time, with the exception of a few moments when it becomes vague or a little garbled. But as fairy tale retellings go, these are decent, not often changing the structure of the originals much, but casting their meaning in new light. In particular, I liked that the stories subverted the original trope common in fairy tales of women working against one another in competition, and instead presented heroines who were liberated by or in cooperation with the traditional "villains" in the story. 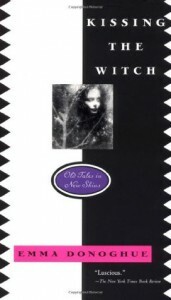 All of the retellings in this collection are connected, so the protagonist in one story is telling her tale to the protagonist of the previous tale. This forms a backwards running chain that I thought would somehow come full circle, but it didn't. In some cases, the revelation of who a minor character in one story was in her past made perfect sense -- in others, it felt like a stretch, and too bizarre to be meaningful (there are several instances of people being reincarnated as animals). Overall, this particular narrative device felt somewhat gimmicky, and I feel doubtful about whether Donoghue would have applied it later in her career as a more mature writer. Books 59, 60, 61/100: More Baby Books! This is a fairly straightforward "welcome to the world, baby," book that says things like, "We're so glad you're here, we can't wait to introduce you to all our friends," etc. 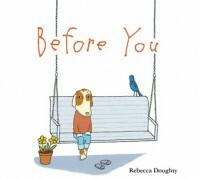 The illustrations are adorable and yeah, I totally cried while reading it aloud to my son. 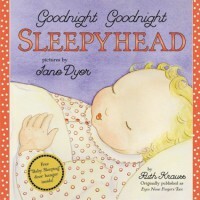 Another goodnight book, but what makes this one fun and unique is the collage art and the "labels" on everything that you can point out to Baby. A really lovely book comparing a mother's love to beauty in the natural world, with illustrations to match each analogy. 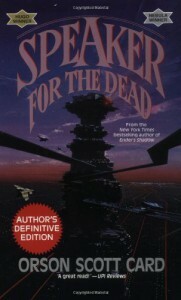 This book probably had some good advice, but it was so dang boring that I couldn't really absorb much of it. I am frugal and I care about saving money, but Topolnicki's book goes a bit too much into the weeds of stuff that is a little too "economic" for me, like various types of retirement plans, college savings funds, etc. I just want to know how to pay my bills every month! This book is fairly old, and because Topolnicki's advice is SO specific, it dated itself far more quickly than more general advice would. She gives SPECIFIC amounts that you can expect to pay for things like insurance, mortgages, etc., which doesn't do much good to a reader 20 years later, not to mention that price tags can vary widely from one part of the country to another. Also, it's super annoying that she assumes the stay-at-home parent is going to be the mom, even though she's upfront from the beginning about this assumption. And the fact that she just expects the husband to shoulder so much of the economic burden also rubbed me the wrong way -- there are several places where she suggests hubby get a second job so Mom can stay home, essentially depriving him of any sort of family life whatsoever. 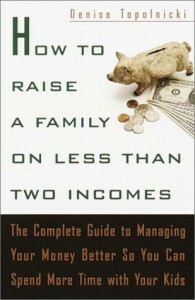 Following all the advice in this book might help your family financially, but it could be hell on your relationship. This is a fairly typical "goodnight" board book in which a child says goodnight to everything (goodnight toes, goodnight stuffed animals, etc.) before finally going to bed. Really cute illustrations. After a two-year hiatus from this book, I have finally accepted what I knew long ago -- I am not going back. And having it sit half-finished has held me back from pursuing other writing exercise books for far too long. It is time to move on. 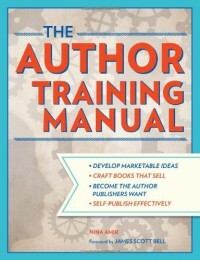 I was initially excited about this book that tackles the more "business-y" side of writing and being an author, and I read and did the exercises diligently for the first several chapters. But the questions end up being incredibly repetitive and the exercises uninspiring, until my dread of returning to it led to the long break while I coped with the fact that this "finisher" was not going to finish this book. I guess I'll have to find some other way to train as an author.